Oliver North, a Fox News contributor who was a central figure in the Iran-Contra firearms scandal in the 1980s, has been named the National Rifle Association’s next president. The retired lieutenant colonel in the Marine Corps is expected to take over for current NRA president and firearm businessman Pete Brownell within the next few weeks, theNRA said in a release on Monday. Brownell, who served one year as president, is not seeking re-election “in order to devote his full time and energy to his family business,” the NRA said in a statement. Brownell is CEO of hisfamily’s firearm accessory retailer, Brownells. 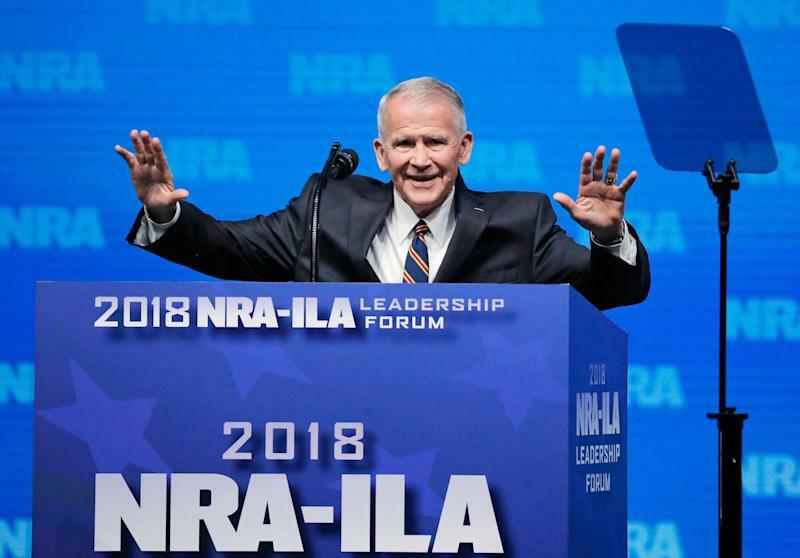 Retired Lt. Col. Oliver North, who spoke at the National Rife Association convention in Dallas last week, is expected to be the group's next president. North, in the NRA’s statement, said he is immediately retiring from Fox News and will take the next few weeks to ensure his business affairs are in order before he assumes responsibilities as the group’s president. 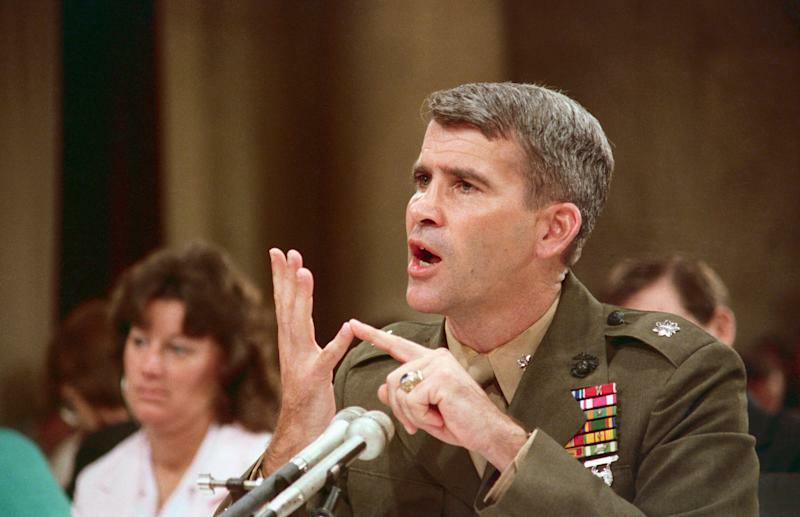 North, during his public testimony before the Iran-Contra committee, said he assumed President Ronald Reagan approved the diversion of Iran arms-sales profits to Nicaraguan rebels. Before joining Fox News, North was the National Security Council staffer under President Ronald Reagan. He was famously found to have played a key role in the secret sale of arms to Iran, which was under an arms embargo at the time. Proceeds from the clandestine weapons sales were funneled to support terrorist efforts against Nicaragua’s socialist government. North was convicted of three felonies for his role in the scandal, though those convictions were later vacated by an appeals court after it was determined that his immunized congressional testimony had been improperly used in his criminal trial. North ran for Senate as a Republican in 1994, but lost to incumbent Sen. Chuck Robb (D-Va.). North has also served as a consultant for a game in the hugely successful “Call of Duty” first-person shooter series. TheNRA has repeatedly argued that this sort of virtual violencehas contributed to a rise in mass shootings. In 1994, North captured the Republican Party nomination for a Senate seat in Virginia. He wasdefeated by then-incumbent Sen. Chuck Robb (D-Va.). This story has been updated with more details on North’s appointment.